MORE than 6600 sessions of electric shock treatment are delivered against people’s will – including to children as young as 13 – in Victoria’s public mental health system each year. Mental health patients with severe depression, psychosis and catatonia will soon get more powers to challenge the involuntary administration of Electroconvulsive Therapy (ECT), after the first review into Victoria’s Mental Health Act laws for 25 years. The State Government’s draft legislation also bans the controversial procedure for use in children aged under 13, despite opposition from psychiatrists that this „life-saving“ treatment of passing electricity through the brain to trigger a seizure is needed for all ages. Victoria remains the only Australian state to allow ECT to be given without consent from the patient and without oversight from an external review board. But health services are concerned that creating greater powers to veto ECT at its 34 licensed clinics would leave ill patients waiting too long for treatment. 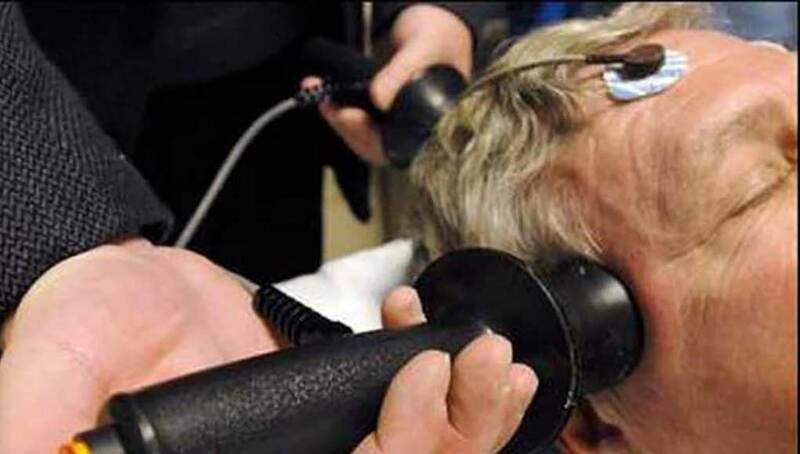 Experts from St Vincent’s and the University of Melbourne’s psychiatry department also fear the added red tape, and potential of imprisonment for unlawful use of ECT, threatens to drive senior staff from the profession. The chief psychiatrist’s 2010-11 annual report, to be released this week, shows that while fewer Victorian patients are receiving ECT now than in 2004, they now receive an average of 11 treatments, three more than a typical course seven years ago. Documents obtained under Freedom of Information show in almost two years between May 2009 and March 2011, 13 to 19 year-olds received 313 sessions of ECT and people in their 20s received 3648 treatments. Victorians aged in their 40s made up the bulk of those being treated with 7087 sessions, followed by those in their 50s getting 6481 treatments. Patients aged in their 90s received 179 treatments. About 6625 sessions were given to patients involuntarily, accounting for 35 per cent of the 1721 Victorians who were treated. Under proposed changes to the draft legislation, a new three-member Mental Health Tribunal will consider all applications for ECT on teenagers aged 13 to 17 years-old, even if the patient consents to treatment. But psychiatrists would continue being allowed to give adults three „emergency“ treatments without consent from the patient or the tribunal, for „life-saving“ reasons. Victoria’s chief psychiatrist Dr Ruth Vine said ECT was one of the „safest and efficient“ treatments available. „The frustration with ECT is that its current use with an anaesthetic, a tightly monitored dose and a muscle relaxant, is so different from the bogeyman image we somehow still carry around with us,“ Dr Vine said. Minister for Mental Health Mary Wooldridge’s spokesman, Michael Moore, said there would be significant changes to draft legislation to balance the workload of doctors and timely access to treatment. IT WAS only after Amanda Thorburn (above) had endured 19 sessions of electroconvulsive therapy (ECT) to both sides of her brain and the self-harming increased that she started questioning the controversial. „I thought, are they using this because it’s easier than sitting down and talking to me to find out what’s really wrong?“ Ms Thorburn said. „They sent me home, but I’m still having ECT three times a week and there are no signs of improvement. The 26-year-old has experienced all aspects of the mental health system as both a voluntary and involuntary patient over 10 years. She is now medication-free, studying at TAFE, is engaged to be married and is part of the new Australian Mental Health Human Rights and Law Reform Coalition.